Petunia and her sister Pansy were found hiding during the flood of October 2018. A concerned resident brought them to the shelter where they would be warm, dry and well-cared for. 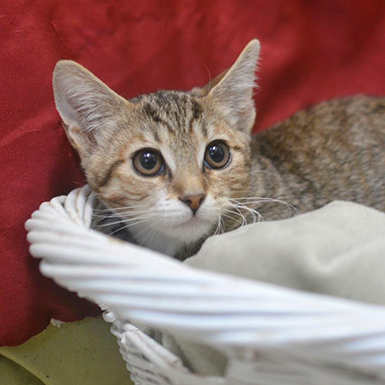 Petunia is a typical, loving, sweet, curious kitten. She loves to romp with sister Pansy but also enjoys being held and talked to by the shelter volunteers.